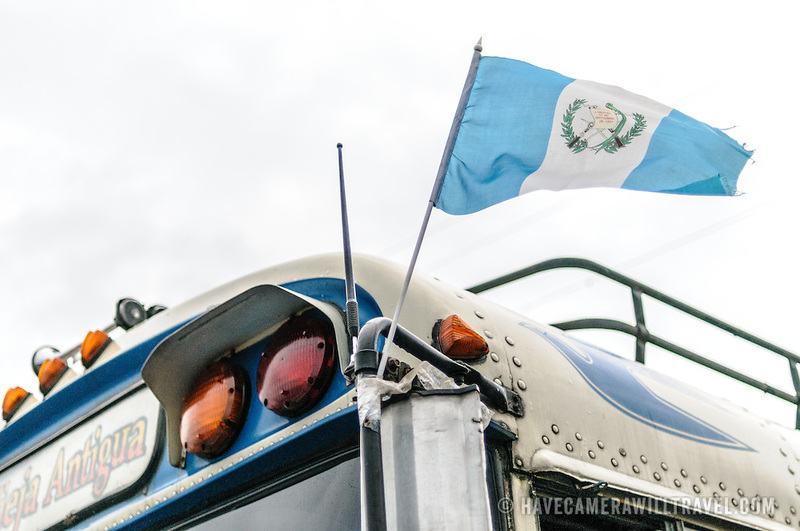 Guatemalan flag on a chicken buse behind the Mercado Municipal (town market) in Antigua, Guatemala. From this extensive central bus interchange the routes radiate out across Guatemala. Often brightly painted, the chicken buses are retrofitted American school buses and provide a cheap mode of transport throughout the country.